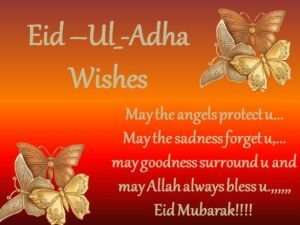 Best Eid al Adha Greetings: Bakrid is also called as Eid-al-Adha or Eid-ul-Zuha is a feast of sacrifice celebrated by Muslims all around the world with great honour and respect. It is celebrated on the 10th day of the Muslim month Dhul-Hajj, the last month of lunar calendar. Muslims are blessed with two Eid occasions during the Islamic year. 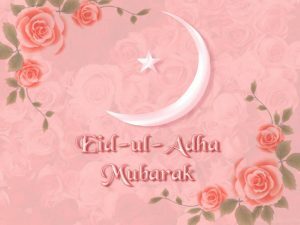 The first one is Eid-ul-Fitr, which symbolises the conclusion of the Holy month of Ramadan. The second one is Eid-al-Adha which commemorates the Pilgrimage to Hajj, a spiritual journey and one of the five pillars of Islam. Millions of fortunate Muslims perform the Hajj Pilgrimage on this day, and many hundreds of millions of people will perform the important task, i.e., Qurbani (sacrifice) in order to show their devotion and obedience towards Allah (SWT). All the Muslims on this day sacrifice the goat as an offering to God. 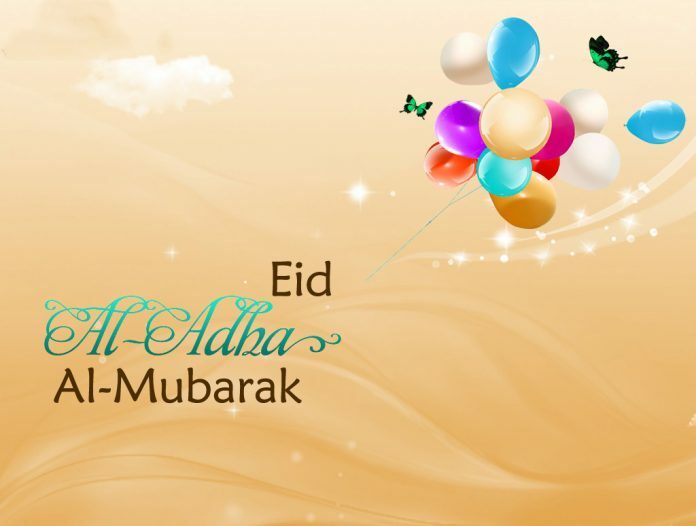 Here we have collected the Bakrid Greetings and Eid al Adha facts in this page. 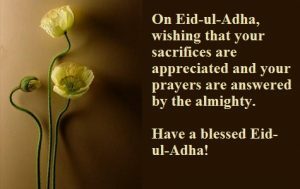 Eid-al-Adha or Eid-ul-Zuha is an Islamic festival to commemorate Prophet Ibrahim willingness to follow Allah’s command to sacrifice this own son Ismail (Ishmael). Moments before sacrifice, God revealed to Ibrahim that his command was a test of devotion, and he doesn’t need to sacrifice Ismail anymore. Instead, he asked to sacrifice a goat. Unlike regular prayers, the Eid al-Adha Prayer (namaz) is performed in any large and open field. It can be performed any time after the sun rises completely but it should be completed before entering the Zuhr time. Muslims prepares themselves following the Sunnah of Prophet Muhammad, and this includes performing wudhu (ablution), offering Fajr prayer and wearing new clothes. During the Eid prayer, Muslims recite verses from the Quran, lead by the Imam. After Eid-al-Adha Prayers, Muslims perform the Qurbani ritual after reciting the ‘Tusmiya’. The Qurbani meat is divided into three portions. 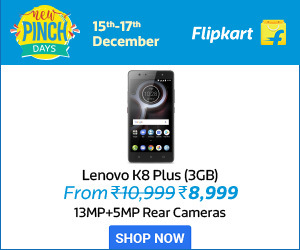 One part is for their family, the second part is gifted to relatives, neighbours and the third part is distributed to poor. In the period around Eid-al-Adha, many Muslims travel to the Mecca to perform Hajj. The Eid begins after the Muslims on the Hajj return from the ‘Mount Arafat’. On the Holy occasion of Eid ul Adha that celebrates the Hajj, may you be filled with happiness and may every step of your journey through life be blessed by Allah. Eid Mubarak!